China’s GDP growth next year is expected to be stable at 6.3 percent, despite headwinds, according to the Chinese Academy of Social Sciences, and economists suggested that the country should continue to press ahead with structural reforms to boost growth. Despite the global economic downturn and Sino-US trade conflicts, China’s GDP growth rate may reach 6.6 percent this year — meaning it would achieve its preset growth target of around 6.5 percent — and then in 2019 ease to 6.3 percent, according to the academy’s latest forecast, released in a blue book report on the economy on Monday. China is not expected to encounter any economic hard-landing, economists said at a forum organized by the top think tank on Monday. The academy’s report, usually published at year’s end to forecast the economy’s performance in the following year, said China’s fixed-asset investment will remain stable next year as China will continue to use investments to prevent an economic downturn. 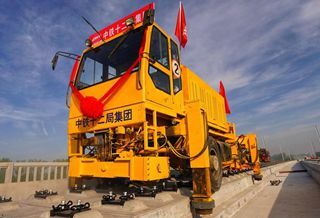 Policymakers at the Central Economic Work Conference, which concluded on Friday, said the country will strengthen use of fiscal policy and increase infrastructure investments to shore up the economy. It will also promote urbanization and development of regional economic clusters, such as the Yangtze River Delta region, to create more demand for investment. Consumption also is expected to remain stable, the academy’s report said. The country has devised a series of policies such as personal tax cuts to encourage consumption, which will work to help increase retail sales, it said. Despite the uncertainties caused by the Sino-US trade disputes, China may continue to see exports increase as a result of its wider economic opening-up and deepening economic cooperation with countries involved in the Belt and Road Initiative, the report said. Lou said China’s retail sales could reach 40 trillion yuan ($5.8 trillion) this year and grow to 43.3 trillion yuan next year. Consumption is set to contribute 78.2 percent of GDP growth this year, the highest level since 2001, he said. “China’s economy will not suffer from a hard landing next year,” said Yang Yiyong, director of the Social Development Research Institution, part of the National Reform and Development Commission, a top economic regulatory body. Economists said that to ensure stable growth against internal and external headwinds, China needs to continue its structural reforms. “China should stick to reforms to boost growth,” said Han Wenxiu, deputy head of the office of the Central Leading Group on Financial and Economic Affairs, at a forum on Saturday. China should deepen reforms in State assets, finance, land, market entry and market regulation to promote competition and improve the systemic environment through creation of a level playing field, he said. The State Administration of Taxation said on Monday that it will “strictly implement tax cut policies” and resolutely prevent “excessive collection of taxes” to foster a law-based and equitable taxation environment.